Aloe Plant in a Metallic Pot - 20? CLOSEOUTS. 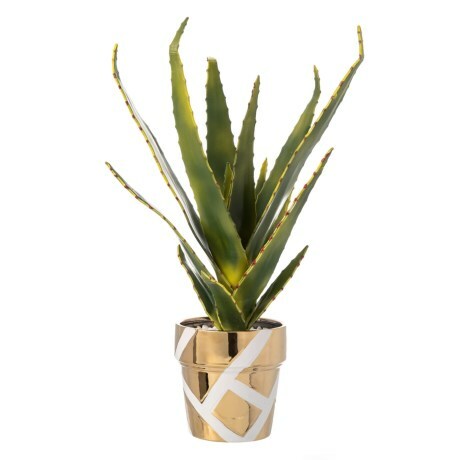 Beautify your living space with the nature-inspired charm of this Aloe plant in a metallic pot. Available Colors: GOLD/WHITE.